Who Dies In Siberian Slush should always have had a higher profile. This vinyl re-recording should show why. You only have to look at the spine of this to realise how significant a release it is in the ever-expanding Russian embrace of Doom - the catalogue numbers read: MFL001LP, SP.003LP, FZL060. 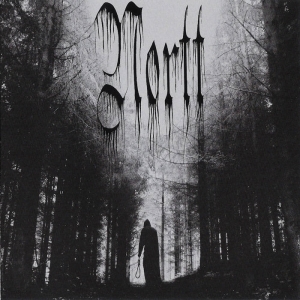 That represents the first vinyl venture for both Moscow Funeral League and Frozen Light (despite the latter's undistinguished catalogue ID), and Solitude Productions previously only issued Heavy Lord's 'Chained To The World' in 2008 and Enth's self-titled debut in 2011 in that format. Three big names to get behind any project, as their own effective debuts into the steady renaissance of the high-quality 12" LP. Why this particular project, and why now? 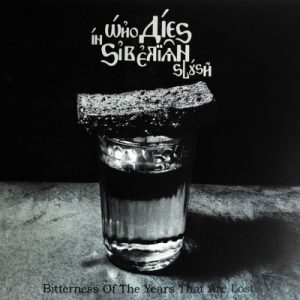 Perhaps simply because it too represents a number of significant firsts - Who Dies In Siberian Slush, following their evolution from a solo project formed in 2003 into a full band in 2008, became the stylistic founders of Russian Funeral Death Doom, something personified in their first full-length release: 2010's 'The Bitterness Of The Years Are Lost'. 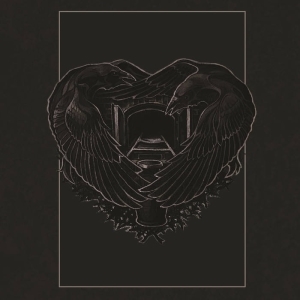 Six years later, the current band line-up set about completely re-recording it in order to produce this limited collector's edition. Of course, it's not just about the packaging: there's the obvious question of how well the album has fared in its new incarnation. And the answer to that is: rather splendidly. Only MFL's main man and band founder E.S., along with guitarist S. Flint, remain from the original recording line-up, though you couldn't tell that from the natural and synergistic way the new members have fitted in. 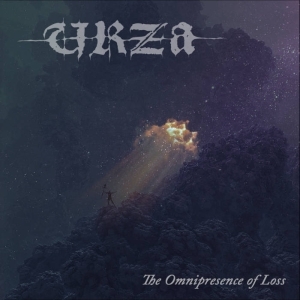 The more sophisticated contributions of additional keys, flute and trombone - amongst others - have simply enhanced the fine balance between the eerie, melodic, and often delicate, atmospheric melodies and the crushing, despairing, heaviness of the vocals and the more brutal guitar elements. Comparing the releases back-to-back, it's quite clear that this more mature set of arrangements really brings out the synthesis of beauty, love, loss and bereavement that the simple cover picture represents (a traditional part of the Russian mourning process, at each gathering, is to provide a glass of vodka covered by black bread for the deceased, until it is certain that their soul has truly departed). You could, with some justification, suggest that this takes WDISS into more obviously early Shape Of Despair territory, with all of the intensity and tension that implies; much of that coming from the significant influence of the slow and simply melancholic flute contributions. On occasion, such as with the trombone on 'Bitterness Of The Years That Are Lost', it's more of a hint of latterday Abstract Spirit...it isn't really necessary to get bogged down with comparisons, though: these refinements also emphasise that, within this Funeral-based genre, WDISS have their own strengths in composing and arranging, and enough individuality to be recognisable in their own right. Check out, for example, the closing minutes of 'Mobius Ring' for a reminder that they're perfectly capable of dropping seamlessly into more turbulent and aggressive Metal territories when the pace needs amping up. Then contrast that with 'The Woman We Are Looking For...', where the harsh vocals perfectly articulate an aching regret for failed love, within a more traditionally slow-tempo and repetitive frame...right there is the reason why WDISS sound more like themselves than any comparator that could be introduced. You may note the slightly different tracklist and running order - in addition to that, most of the tracks have been polished and tightened up to, on average, a minute shorter apiece. Surprisingly, perhaps, 'Through The Snow' is actually a reworking of the piano melody of 'Interlude' rather than the near-folky guitar-based 'An Old Road Through The Snow' - which doesn't appear here - from the original release. And 'The Testament Of Goumilev' (the Acmeist poet, husband of Anna Akhmatova, and decorated WW1 cavalry officer, executed in 1921 at age 35 for alleged anti-Communist conspiracies), despite gaining an English translation for the title retains its Russian lyrics. Minor amendments, perhaps, but this attention to detail adds to the overall feeling of completeness present in this re-recording. I have to say that I feel WDISS have been a little unfairly overlooked in comparison to other post-USSR contemporaries: I don't know why - they've always struck the right chord with me, and I actually think they manage the contrast between light and shade far better than most comparable acts. Perhaps this will deservedly spark a little more recognition (and an interest in their very recommended back catalogue). I hope so. There's a lot of work gone into this project, all of it to the good, and it's absolutely brought out why I think 'The Bitterness Of The Years That Are Lost' should always have had a higher profile classic status.